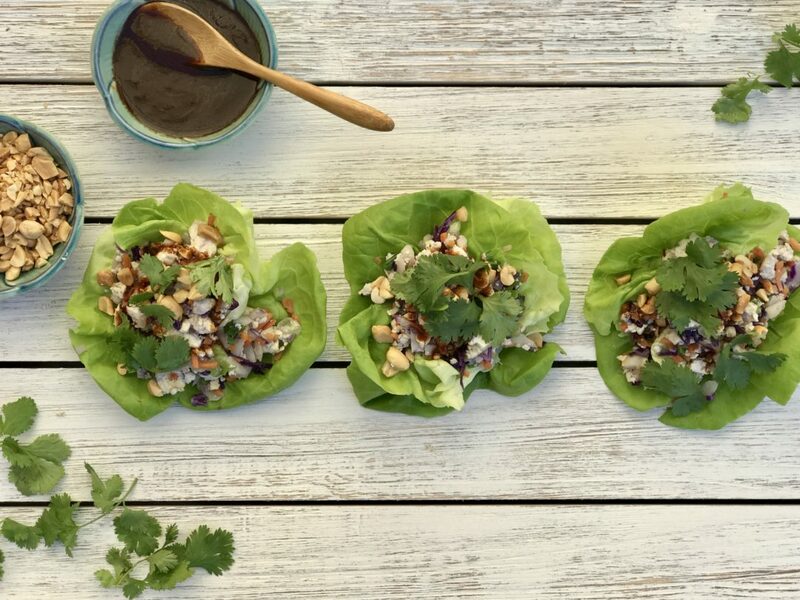 Tofu lettuce cups have become a favorite of mine. To be honest, I have always loved the lettuce wrap concept, beginning years ago with In-and-Out’s bunless, lettuce wrap “protein style” burger, which I discovered long before I even moved to California. Tofu has also been a staple in my house. My boys started eating tofu when they were little. They now request it and as a result my husband and I have started eating more of it over the years. Tofu is an excellent source of amino acids, iron and calcium. Tofu is also a very versatile ingredient, due to its subtle flavor, with many believed health benefits. Tofu also has a low calorie count and relatively large amounts of protein, which is important to me. Tofu has been around for a long time, commonly used in East Asian and Southeast Asian cuisines. Tofu did not hit the US until the 1950’s and was slow to grow in popularity. Tofu is cultivated by coagulating soy milk and then pressing the resulting curds into soft, block-like shapes. The amount of pressing time is relative to the quantity of curds and the desired firmness; typically it is pressed around 15-20 minutes. 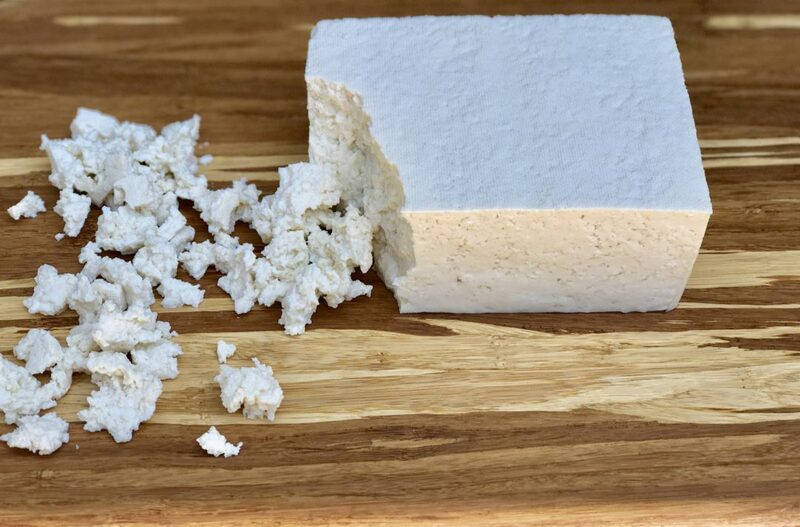 The longer tofu is pressed, the more whey is released and the firmer the finished product will become. From least firm to most firm, the “typical” tofu textures are Silken, Extra Soft, Soft, Medium, Medium Firm, Firm, Extra Firm, and Super Firm. Non-silken tofu is also known as Regular tofu. In a nutshell, the difference in all these is how much water is pressed out. So when it comes to choosing what kind, it’s really about what you prefer texture-wise. For this recipe, I suggest using firm tofu because it crumbles easily. Below is a brief summary about the various tofu types, but a more in-depth to tofu types and what to do with them can be found here. Silken Tofu: This tofu undrained, unpressed Japanese-style tofu has the highest water content and a custard-like texture. Silken tofu is a versatile, reliable substitute for dairy products and eggs, especially for smoothies and baked desserts. I have a great vegan brownie recipe I make often that uses silken tofu, which I’ll post another time. Silken tofu comes in soft, firm, or extra firm depending on how much soy protein is in it. Regular tofu is pressed and has a somewhat spongy-like texture. Like silken tofu, regular tofu comes in several consistencies. Extra Soft / Soft: Soft tofu is the Chinese-style equivalent of silken tofu but it is less smooth. Medium / Medium Firm – This tofu is denser than silken or soft but still delicate. Firm – This tofu absorbs flavors well and can be stir-fried and pan-fried It’s also crumbles well. Extra Firm – This tofu holds its shape well and is excellent for slicing, cubing, frying and baking. 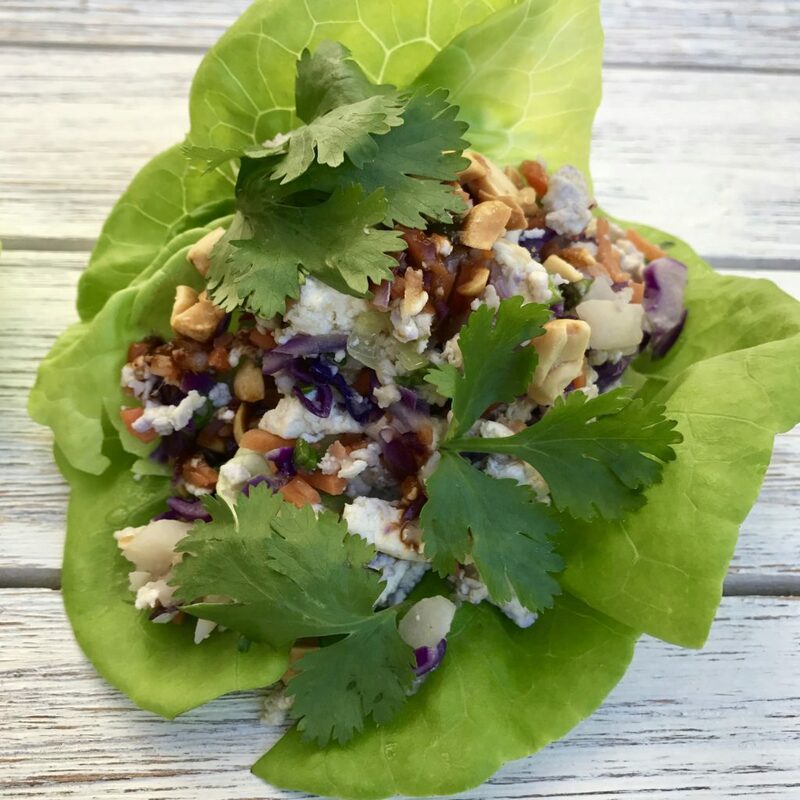 Tofu is the star ingredient in my tofu lettuce cup recipe, but there lots of other flavors and texture to tie this dish together: crispy red cabbage, carrots and water chestnuts, as well as the lettuce cup itself. Fresh cilantro and a sweet, slightly spicy sauce add flavor. 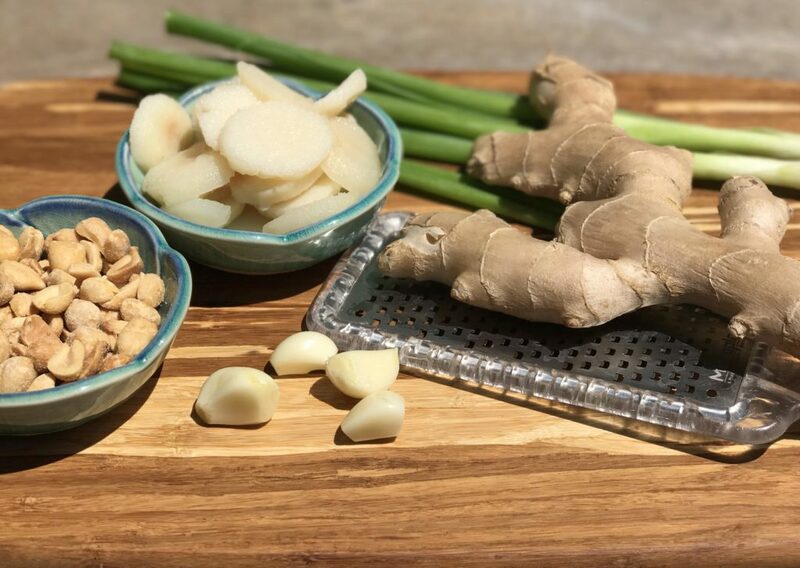 My sauce incorporates Hoisin sauce, which has both sweet and salty components and blends well with sesame oil and vinegar, which I think complements the ginger-garlic flavors of the tofu crumble. 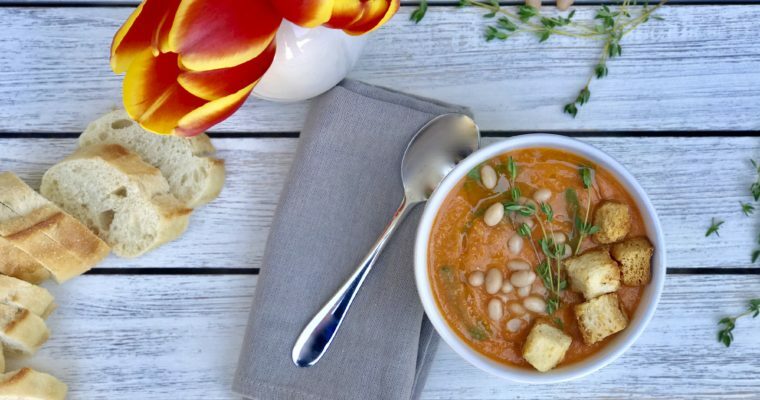 Tofu is my preferred protein with this recipe, but you could easily substitute something else if you prefer a non-vegetarian option. Step 1 Place the crumbled tofu on a plate lined with paper towel and allow to drain for at least 10 minutes while you are prepping the other ingredients. Step 2 For the sauce: In a small bowl add the Hoisin sauce, rice vinegar and sesame oil and mix well to incorporate. Set aside. Step 3 For the tofu filling: In a large sauce pan add the oil and heat over medium flame. When hot, but not smoking, add the crumbled tofu and sauté till it has dried out a bit and there is some light coloration, about 5 minutes. Step 4 Add the ginger and garlic and sauté till fragrant, about an additional 1 minute. Step 5 Add the carrots, water chestnuts, scallions and cabbage and cook for an additional 2-3 minutes. Step 6 Remove from the heat and add the salt and red pepper flakes. Adjust the seasoning to taste as needed. Mix well to incorporate. Step 7 To assemble the lettuce cups, take 1-2 pieces of whole lettuce and place a generous scoop of the tofu mixture inside. 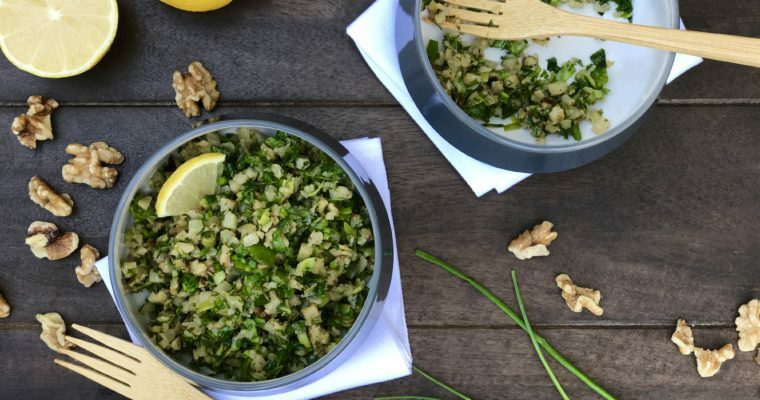 Drizzle with some sauce and garnish with peanuts and cilantro leaves. Serve warm or at room temperature. Our family tried the vegetarian lettuce wraps last night- so yummy and easy… even my supposedly tofu hating husband enjoyed them! Hooray!!!!! Always love hearing stuff like this. Thanks of posting Amy.